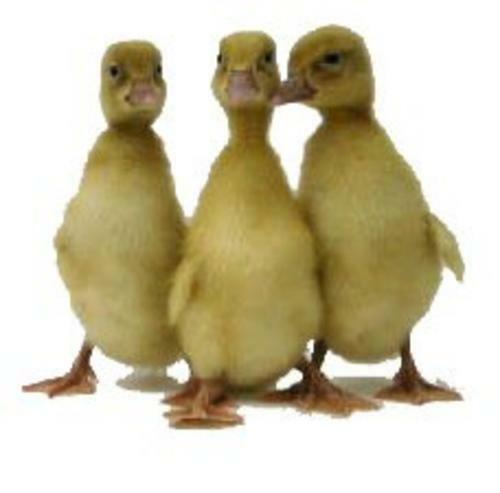 Buff Ducks, also called Buff Orpington Ducks, originated from the famous Orpington Farms in England — the home of the well-known Orpington breed of chickens. Buff drakes and hens are are both the same golden buff color, with the exception of the drake’s head which is a beautiful seal-brown. Buff hens are good layers, not broody, and will weigh approximately 5 pounds. Drakes are about one pound heavier than the hens. 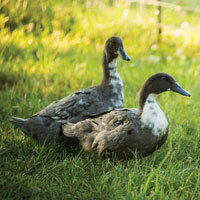 Do you have to have a male duck for hens to have eggs? You do not need a male for the females to lay eggs. But, if you want the eggs to be fertilized for hatching, then you will need a male. Do mature Buff Ducks fly? It is not likely that Buff Ducks would fly. 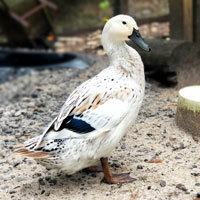 Most domestic ducks will not fly — only Mallards fly well, and possibly Khaki Campbells and Rouens. 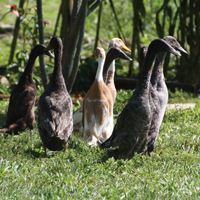 Are Buff Ducks good for fertilizing eggs and hatching them? 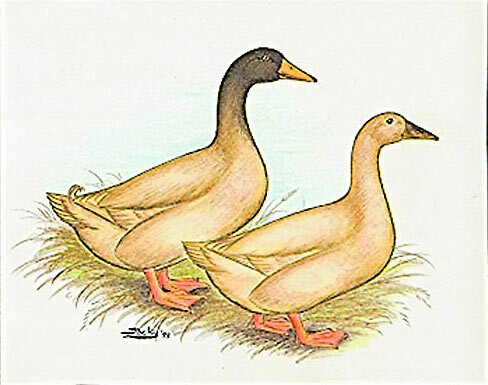 Buff Ducks are fair layers and setters. About how many eggs do Buff Ducks lay per year? How long before ducks lay eggs? 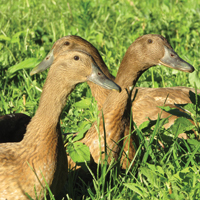 Buff Ducks lay approximately 130-180 eggs/year. 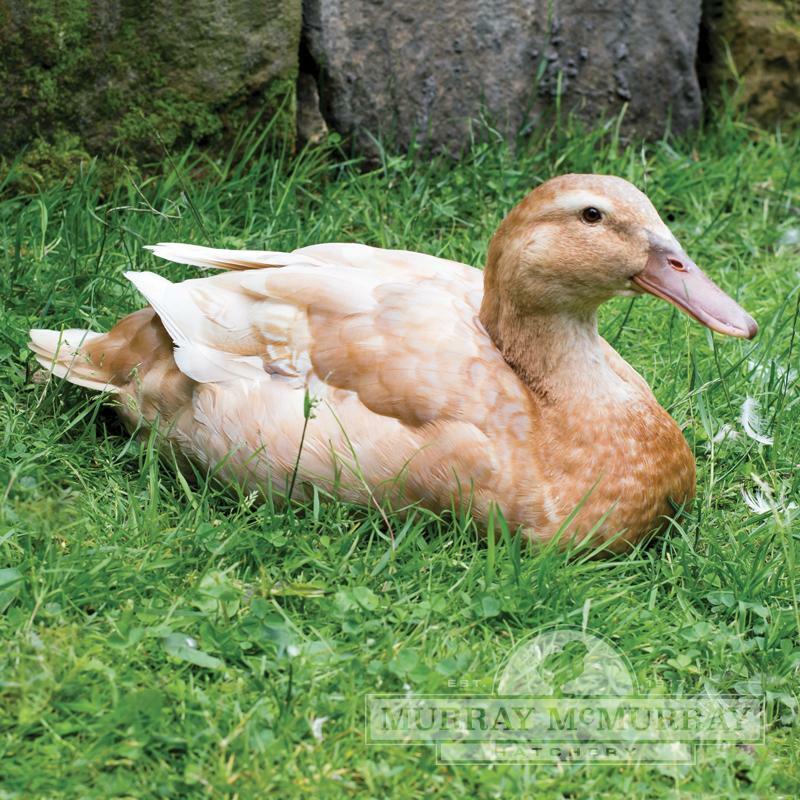 All duck breeds begin laying around 6 months of age.